With the third quarter 2018 ending on Sunday, September 30th, CNN once again surpassed MSNBC in total day and daytime among adults 25-54. CNN has now outperformed MSNBC for 18 straight quarters in total day in the key demographic 25-54 (214k vs. MSNBC’s 197k), the longest quarterly streak since 2Q 2010. In dayside, CNN dominated MSNBC for the 24th consecutive quarter among the coveted demographic adults 25-54 (208k vs. MSNBC’s 177k). CNN also topped MSNBC on weekends in total day and prime time among both total viewers and adults 25-54 this quarter. In total day, CNN averaged 618k vs. MSNBC’s 594k in total viewers and 177k vs. MSNBC’s 117k among adults 25-54. In weekend prime time, CNN posted 728k vs. MSNBC’s 672k among total viewers and 238k vs. MSNBC’s 121k in 25-54. On Saturdays, CNN delivered higher demo 25-54 audiences than MSNBC for 23 out of 24 hours and for 24 out of 24 hours on Sundays. CNN ranked #1 in cable news among adults 25-54 on Saturdays from 1-6pm and on Sundays in the 12pm hour and every hour from 2-8pm and 9pm-2am. CNN finished out the quarter with near record-high viewership in both total viewers and adults 25-54. CNN had its third-best 3Q on record in total day among total viewers (726k) and third-best in 10 years (since 2008) among adults 25-54 (214k) – just after 2017 and 2016. The network also had its third-highest 3Q prime time performance in 10 years (since 2008) in total viewers (1.048 million) and adults 25-54 (342k), also following 2017 and 2016. In daytime, CNN posted its third-highest 3Q on record in total viewers (831k) – after 1995 and 2017 and third-highest 3Q in 13 years (since 2005) among adults 25-54 (208k) – just after 2017 and 2016. CNN Tonight with Don Lemon is having its highest quarter on record among total viewers, while the morning (New Day) and all of CNN’s late afternoon and other prime time programs are having near 3Q record-high deliveries this quarter, just after 2017 and/or 2016. Among ALL cable networks, CNN ranked #5 in total viewers in total day this quarter. This marks the ninth straight quarter and longest quarterly streak in over 22 years (since 4Q 1995) that CNN is a Top 10 cable network among total viewers in total day. In M-F prime time, CNN ranked #7 in total viewers. New Day with Alisyn Camerota and John Berman (6a-9a) had its second-best 3Q on record in total viewers (556k) and among adults 25-54 (173k), just after 3Q-2017. The Lead with Jake Tapper (4pm) ranked #2 in cable news this quarter among adults 25-54 ahead of MSNBC’s Deadline: White House (260k vs. 235K) and has outperformed MSNBC for 22 of the last 23 quarters. This is the Tapper-led program’s second highest quarter on record in total viewers (992k) and among 25-54 (274k, just after 2017). This is the network’s overall third-highest 3Q on record in total viewers and since 2001 in 25-54. The Situation Room with Wolf Blitzer topped MSNBC at both 5pm (274k vs. MSNBC’s 235k) and at 6pm (293k vs. 257k) now for 17 straight quarters among adults 25-54. This is the longest quarterly streak since 3Q-2010 at 5pm and since 3Q-2009 at 6pm. The Blitzer-led program also posted its second highest 3Q on record among P25-54 (behind only 2017) and third-highest 3Q on record in total viewers (behind only 2016 and 2017). Erin Burnett Outfront (7pm) easily topped MSNBC’s Hardball this quarter among adults 25-54 (325k vs. MSNBC’s 296k) and has outperformed MSNBC for 15 of the last 17 quarters. EBOF had its third-highest delivery on record among total viewers (975k) and adults 25-54 (325k), following 2017 and 2016. Anderson Cooper 360 (8pm) is now back ahead of MSNBC’s All In this quarter among adults 25-54 (375k vs. 343k) and has outperformed MSNBC for 15 of the last 18 quarters. This is AC360’s third-highest 3Q on record among both total viewers (1.164 million) and the demo (375k, just after 2017 and 2016). Cuomo Prime Time (9pm) was CNN’s #1 news program in both adults 25-54 (419k) and total viewers (1.274 million) this quarter. The Cuomo-led program was up vs. last year, increasing +9% in total viewers and +3% among 25-54. Cuomo delivered CNN’s highest 9pm 3Q viewership in 13 years (since 2005) among total viewers and in the demo 25-54 in the time period. CNN Tonight with Don Lemon (10pm) is having its highest quarterly performance ever on record among total viewers (1.195 million). The Lemon-led program is also having its best 3Q ratings on record in total viewers (1.195 million) and second-highest among adults 25-54 (400k, just after 2017 last year). This is the network’s overall second-best 10pm third quarter performance on record (just following 2008) in total viewers. 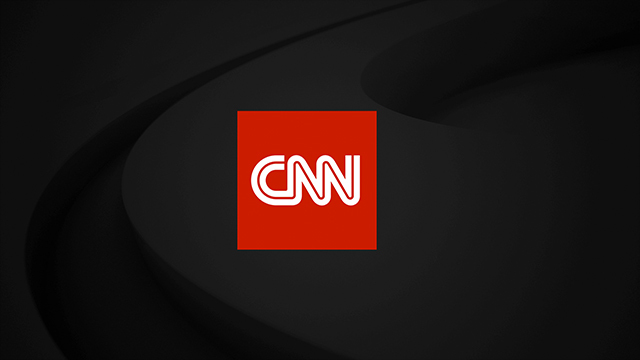 Other CNN programs such as Early Start with Dave Briggs and Christine Romans, CNN Newsroom with Poppy Harlow and Jim Sciutto (9-11am), At This Hour with Kate Bolduan (11am), Inside Politics with John King (noon), Wolf (1pm), CNN Newsroom with Brooke Baldwin (2-4pm), Smerconish (Sat. 9am), New Day Weekend (Sat/Sun), SE Cupp Unfiltered (Sat. 6pm) The Van Jones Show/The Axe Files with David Axelrod (Sat. 7pm) all easily surpassed MSNBC this month, posting higher demo 25-54 audiences. CNN Newsroom with Fredricka Whitfield (Sat/Sun, 2-3pm), CNN Newsroom with Ana Cabrera (Sat/Sun, 3-6pm) ranked #1 in cable news this quarter among the 25-54 demo easily topping both Fox News and MSNBC. On Sunday mornings, Inside Politics with John King (8am) State of the Union with Jake Tapper (9am), Fareed Zakaria GPS (10am) and Reliable Sources with Brian Stelter (11am) all ranked #2 in cable news in their respective time periods, ahead of MSNBC among adults 25-54. The 12pm edition of State of the Union ranked #1 in cable news among adults 25-54 with 220k, Fox News followed with 199k and MSNBC had 154k. SOTU has now ranked #1 across cable news for five of the past seven quarters. The final season premiere episode (9/23) of Anthony Bourdain Parts Unknown (Kenya) delivered 503k viewers among adults 25-54, Fox News followed with 325k and MSNBC had 198k during the program’s extended time period (9-10:15pm). The episode had 1.314 million total viewers. The second episode (9/30, Asturias) delivered 783k among total viewers and 299k in adults 25-54, ranking #1 across cable news in its 9p premiere hour among 25-54 (Live+SD). The Season 5 premiere of This is Life with Lisa Ling (The Myth of MS-13, 10:15p-11:15p) delivered 416k among adults 25-54, ranking #1 in cable news, with Fox News following with 318k and MSNBC 143k. The episode had 1.041 million total viewers. The MS-13 program ranks as the most watched This is Life premiere episode ever among both total viewers and adults 25-54. The second episode (9/30, The Meth Crossroads) delivered 684k in total viewers and 274k in the demo 25-54, ranking #1 across cable news in its 10pm premiere hour among 25-54 (Live+SD). The premiere of CNN Films: RBG (9/3/18, 9p-11p) delivered 514k among adults 25-54 and 2.251 million total viewers, ranking #1 in cable news among both demos in Live+7. RBG posted the largest Live+7 versus live net DVR growth among both total viewers (+848k) and adults 25-54 (+201k). So far in 2018, CNN’s The 2000s & History of Comedy S2 are ranking among the top 10 historical non-fiction series in ALL of cable among 25-54. CNN claims 5 of the top 10 historical non-fiction series, the most of any cable network and ahead of History Channel. CNN had its third-highest September in 13 years (since 2005) among total viewers (808k) and among adults 25-54 (234k) just after 2008 and 2017. CNN beat MSNBC in total day demo 25-54 for the 51st straight month (234k vs. 212k), the longest monthly streak since January 2010. CNN beat MSNBC dayside for the 55th straight month (242k vs. 195k), the longest monthly streak on record. New Day had its second-highest September on record in both total viewers (607k) and adults 25-54 (190k) following 2017. The Lead with Jake Tapper ranked #1 in cable news in September for the second straight month with 304k, Fox News had 287k and MSNBC 255k. The Tapper-led program had its highest September on record in total viewers (1.148k) and adults 25-54 (304k). The Situation Room with Wolf Blitzer topped MSNBC at both 5pm (319k vs. 262k) and 6pm (340k vs. 277k) in adults 25-54. The Blitzer-led program had its second-highest September on record at both 5pm and 6pm among total viewers and third-highest September on record among adults 25-54. Erin Burnett Outfront beat MSNBC’s Hardball (364k vs. 322k) for the fourth consecutive month. EBOF had its second-highest September on record among both total viewers (1.093 million) and adults 25-54 (364k). Anderson Cooper 360 beat MSNBC’s All In at 8pm among adults 25-54 (411k vs. 365k) in September for the third consecutive month. The Cooper-led program had its second-highest September on record among both total viewers and 25-54 (after 2017). Cuomo Prime Time was CNN’s highest-rated news program in September in both total viewers (1.375 million) and among adults 25-54 (451k). The Cuomo-led program was up +5% in total viewers vs. last September. Overall, Cuomo Prime Time is delivering the network’s third-highest September since 2001 among total viewers (behind 2008 and 2005). CNN Tonight with Don Lemon had its highest September ever in total viewers (1.294 million) and second-highest in the demo 25-54 (436k), behind 2017. The Lemon-led program was up +8% vs. last year in total viewers. This is the network’s third-highest 10pm delivery since 2001 among total viewers (behind 2005 and 2008). S.E. Cupp Unfiltered (Sat, 6p) ranked #1 in cable news among adults 25-54 in September with 174k among adults 25-54, Fox News followed with 148k and MSNBC had 101k. On Sunday mornings, Inside Politics with John King, State of the Union (9a-10a) and Fareed Zakaria: GPS (10a-11a) all delivered more viewers than MSNBC in their respective time periods among adults 25-54. SOTU at noon ranked #1 in September for the third straight month and for seven of the past nine months. CNN ranked #2 in weekend (Sat/Sun) total day and prime among adults 25-54, ahead of MSNBC by +44% and +59% respectively. CNN beat MSNBC for 22 out of 24 hours on Saturdays and 23 hours on Sundays. CNN ranked #5 in ALL of cable in total day among total viewers for the ninth straight month as a Top 10 cable network. And #6 in ALL of cable news in prime time among total viewers. Third quarter-to-date in total day among adults 25-54, CNN is averaging a +6.3% lift with Out-of-Home viewers. Among ALL reportable Out-of-Home cable networks, CNN ranks #2 with +13k adults 25-54 Out-of-Home viewers, behind only ESPN (+19k). For the Ford/Kavanaugh hearing on Thursday (9/27/18) CNN Digital viewing added a 12.4% lift to the CNN TV total viewer average audience for the 10am-7pm coverage block which is 10.2 percentage points higher than the August 2018 average of 2.2% and 10.5 percentage points higher than the YTD average of 1.9%.